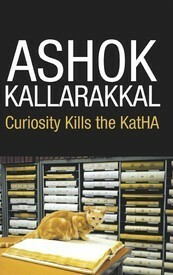 Curiosity kills the KatHA is an excellent read for all genre! I rate this book first of its class in the short-stories category. It is a combination of high intelligence, creative thinking, narration and language. True to its name, you are curious about what will happen next in each story, the ending is very well thought through and not easy to imagine. I sat up all night to finish the book and sensed the author come alive on numerous occasions during the narration.What's more, I found it absolutely hilarious several times. My 10-year old son caught me laughing while reading the first story before he announced that he wanted me to read the stories to him aloud. My throat went dry after a while. For many nights there after, he wanted to hear ONLY Ashok's stories before he went to sleep :-).I have taken several copies of this book to gift to my family and friends for Christmas!Can't wait to read Ashok's next book - Palette of Love. I am not much of short story reader. My love is for thrillers. I read this book based on the suggestion by a friend. To my surprise, every story in the book turned out be good enough to keep me hooked till the end like a thriller. A collection of nine short stories with an unexpected twist at the end. What appealed to me is the breadth of subjects covered in the book. No two story is alike. I liked the one on the trip to Vidurashwata most. There are some twisted views on known stories as well. I could predict the final twist on two of the nine stories. That itself would be an interesting game while reading the book; predicting the final twist. The author uses tougher language in couple of stories which was avoidable, though that does not take away the fun. This collection of short stories by Ashok is very nicely written and quite compelling - perhaps because he has written stories about issues that touch us all in daily life. His writings are definitely reminiscent of O'Henry's short stories. Though it is a collection of short stories, one would not like to put the book down till one is through it entirely. Would recommend it as an excellent read! This is one of the best collections of short stories published in recent years. It reminds me of O Henry and Jeffry Archer, but a bit more philosophical. Great collection of short stories. It was very interesting !!!!!. A waste of time and money. The so-called twists in the end were weak and mostly predictable. Writing a short story is tough and tricky; more so than writing an entire novel. The author has limited space to tell an interesting tale AND make an impact. Ashok's Curiosity Kills the Katha (CKK) scores hugely in that sense. Present day urban India is the backdrop. The dialogues are a sheer pleasure to read. The twists in the tale - some expected others not so - succeed in keeping the reader riveted to the very end. While there is an undercurrent of a deeper subtext in every story (sometimes dark) - Ashok succeeds in keeping it subtle and non judgmental - giving the discerning reader a choice - to take it or not. Personally speaking, while I have always preferred novels to short stories and made the odd exception only for an author of the caliber of Jeffrey Archer or Guy de Maupassant, I thoroughly enjoyed CKK; that Ashok's style is vaguely reminescent of the above named authors may have been only one of the reasons.The book could have benefitted with stricter line editing and some occasional Point-of-view adjustments. While brevity is the soul of wit is Ashok's mantra (understandably and rightly so!) - there were times when I wished he would adopt a more relaxed pace and unravel details that were seemingly suppressed and waiting to be revealed! Ashok is at his best when he is narrating the story in the first person (Best example: Picking Out The Bad One) - the narrator has a definitive voice and added conviction - it made me root strongly for the protagonist - usually the underdog - not withstanding which side of the law he was on. The relatively slim size of the book (under 150 pages) left me asking for more! one of the very few occasions when I have felt utterly disappointed with a book. It stems from two aspects- 1. The cardboard cut out characters and their senseless motivations for the acts they commit. Digressions that try to be funny, but fails every single time.this is a supermarket for stereotypes and plot twists you can see from a light year away. The Malayalam dialogues come across as something one would hear in a soap opera or read in the poorly written serialized novels of the 'M' publications.2. The political apathy propagated by the text is characteristic of typical middle-class mentality in storytelling. Most of the stories revolve around Kerala and the history and politics of the state is portrayed through a narrow perspective, especially the rayons incident.If you want to reaffirm the stereotypes in your mind, this will suit you well. Else, you will be disappointed. An ensemble of interesting short stories. One is different from other and the twist at the end makes it all the more interesting and worth reading. This is a book of short stories, several dealing with roles and identity. The description of this book of short stories includes the quote, "Assessing performance of ones student is what every teacher does many times in his/her career. But what if the teacher is a terrorist trainer and the student a suicide bomber?" This and other stories take ideas that people are comfortable with, and shift them to see a different perspective. This book brings up questions about people's motivations, driving factors, and identifying factors. Several of the short stories force the readers to look at a familiar topic from an unfamiliar role. Putting themselves in the shoes of these characters can be a great way to understand their identities. I would have students write "Concept Diaries" after reading each short story, where the student writes from the perspective of a previously unfamiliar character type. AshokKallarakkal - How I came about to be like thisI was born in a village in Kerala, close to the southern tip of India. This is the same area Christopher Columbus had set out to when he accidentally landed in America. This is just to prove the importance of my birthplace in the world going back hundreds of years. This is also one land where one of the apostles preached in person and Islam got introduced at prophet's time itself. Thus the land I grew up was the cradle of secularist and balanced thought. No wonder we call Kerala ' God's Own Country'.I was born in a lower middle 'class' family. Infact, the land I grew up is so rich in 'class' consciousness that I need to explicitly display my 'class'. This came about because we sowed and reaped communism as well (along with rice) so much that we boast of the first elected communist rule anywhere in the world. (You can see reflection of my confused mind - having taken inputs from all these thoughts - in my writing as well. I absolve myself thus. )In the setting I was born, the only path to a better life was education and I was initiated into and mentored for good education by my parents - My mother being a teacher and father working in the education field. They also ensured that I had the freedom to indulge in unbiased and critical thinking on all 'isms' and 'theologies' surrounded me.I did have the urge to write during school days and had managed to publish a few science fiction stories in vernacular magazines like 'Sastra Keralam'. I even managed to win some short story competitions in my 12th grade days. But I soon corrected that aberration and concentrated on studying hard and getting a job.I did my graduation in Electronics Engineering from one of the premium institutes in India - NIT Calicut. (Calicut was noteworthy even in the 15th century when Vasco Da Gamma went around the Cape of Good Hope to land there setting off a series of events which changed the history of India and the World). Immediately after completion of the degree, I joined an organization which made use of my limited learning from the university effectively for couple of years.Before long, I left the field of electronics to pursue a doctoral program in Management in yet another premier institute in India - IIM Bangalore. Management Education also failed to affect my knowledge levels but it launched me into a career in Management in the software Industry. For a short while I thought I had arrived.Such thoughts are always short lived. I instead of 'arriving', I had just started my journey from one organization to other without ofcourse gathering the 'proverbial moss' in my career. I have played roles of Project Manager, Product Manager, Pre-Sales Consultant, Delivery head, CTO, COO and so on as part of this, in various countries. It is in some of those customer facing roles - especially in proposal preparation - that I re-discovered my fiction writing skills.Passion overtakes discretion at times in lifeIn one such moment, I left my job at IBM in 2012 to write my first book - a collection of short stories named 'Curiosity Kills the KatHA' and the rest I guess is and will be history.My wife Sandhya - my first critic - is a lawyer turned software professional turned housewife turned construction expert and my daughter Anjali - my stylist - is a third grader in Jnanasweekar Public school. We are all happily settled in Bangalore.I am a good bathroom singer with interests in historical places in addition to creative writing. I am also a member of MENSA.